Members and Guests are invited to keep night watch with Cor Mariae from 9pm. Holy Thursday through to 9am. Good Friday. 5pm. 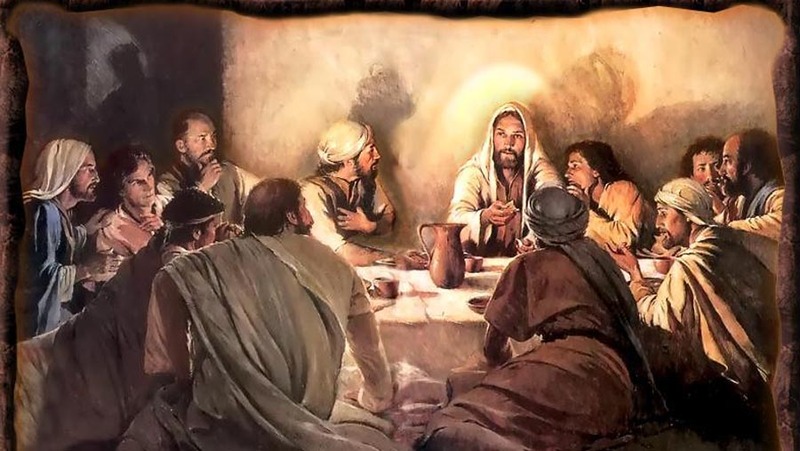 to 7pm Jesus, having taken leave of Mary, celebrates His Last Supper. “Who the day before He suffered, took bread into His holy and venerable hands. And with His eyes lifted up to heaven to Thee, God, His Almighty Father, giving thanks to Thee He blessed , broke and gave it to His disciples, saying: ‘Take ye and eat ye all of this, FOR THIS IS MY BODY. Open my mouth O Lord to bless thy Holy Name. Cleanse also my heart from all vain evil and distracting thoughts, enlighten my understanding, inflame my will that I may worthily pray with attention and devotion and deserve to be heard in the presence thy Divine Majesty. We pray as members of the Mystical Body of Christ, so that meditating on these Scripture passages each one of us is united as a family with a singular intention of penitential sorrow for sin; thanksgiving for the grace pouring into us this very moment; transforming and redeeming us right now; strengthening our faith; praying for one another, so if you cannot pray for yourself then others are praying for you; seeking the gift of true charity that we may love one another as He has loved us; remembering that only in this Mystical Body of Christ we receive directly the merits of the saints and martyrs so that what we cannot obtain ourselves may be obtained through their intercession. We, as members of the Mystical Body - The Church have the sole power of praying for our loved ones who have died and whom we aid in shortening their time in Purgatory. Deo gratias! - we shall find nothing more noble, more sublime, or more divine than the expression "the Mystical Body of Christ" - an expression which springs from and is, as it were, the fair flowering of the repeated teaching of the Sacred Scriptures and the Holy Fathers. 16. Again, as in nature a body is not formed by any haphazard grouping of members but must be constituted of organs, that is of members, that have not the same function and are arranged in due order; so for this reason above all the Church is called a body, that it is constituted by the coalescence of structurally untied parts, and that it has a variety of members reciprocally dependent. It is thus the Apostle describes the Church when he writes: "As in one body we have many members, but all the members have not the same office: so we being many are one body in Christ, and everyone members one of another." 8pm. Jesus washes the feet of the apostles, and institutes the Most Holy Sacrament. 9pm. Discourse of Jesus: He goes to the Garden of Olives. It was here in the Garden that Our Lord suffered for each one of our souls as if we were the only person(s) for whom He died. Being infinite he paid the price for each one of us. He suffered the punishment for Adam's Original and personal Sin thus freeing us from inheriting that state (through Baptism). We receive forgiveness of our personal sins in the Sacrament of Confession. His visible physical horrifying sufferings were but the outward witness to his interior sufferings where He sweated blood. Imagine the suffering of our Lord suffering the punishment of taking on the sins of each created person beginning with Adam and Eve and down to our present time. That's not to say everyone is redeemed, because alas, too many refuse to accept His redemptive mercy in which case the cross of Our Lord becomes the sword of judgement and eternal damnation. From now on? The door is closing for Mercy to be received as the the Sacraments are becoming less and less available with the crisis of the Priesthood. God seems to be providing priests here and there for the few faithful souls that remain. Our beloved Archbishop Lefebvre succeeded in preserving the priesthood and the Sacraments for the remnant of priests and faithful that remain. To such priests Cor Mariae, through the intercession of our Blessed Mother, is dedicated. 11pm. Agony. Midnight The sweating of Blood. Receiving no mercy throughout Thy suffering the penalties of our sins dear Lord Thou didst impart to thy glorious martyrs, through the power of the Holy Spirit, the mercy of knowledge and fortitude uniting with Thee Who suffered alone. 1am. 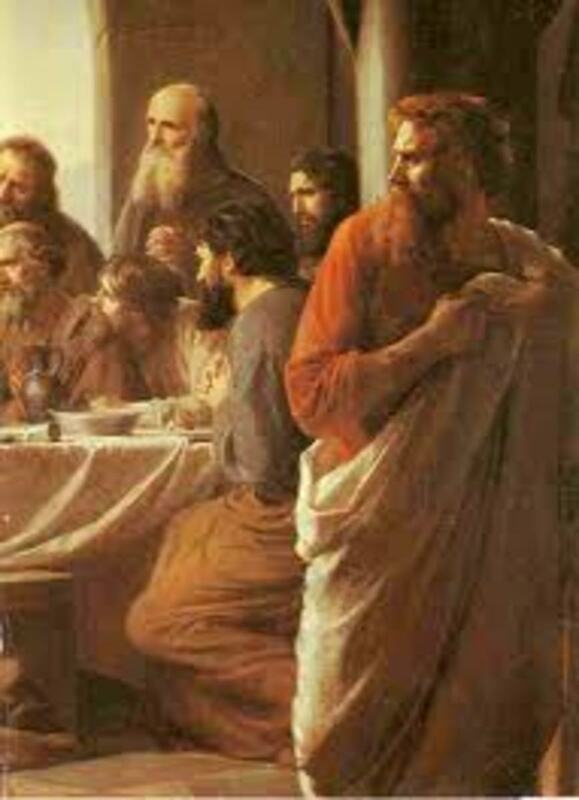 Jesus is betrayed by Judas, and is bound. When Jesus had said these things, he went forth with his disciples over the brook Cedron, where there was a garden, into which he entered with his disciples. And Judas also, who betrayed him, knew the place; because Jesus had often resorted thither together with his disciples. Judas therefore having received a band of soldiers and servants from the chief priests and the Pharisees, cometh thither with lanterns and torches and weapons. Jesus therefore, knowing all things that should come upon him, went forth, and said to them: Whom seek ye? They answered him: Jesus of Nazareth. Jesus saith to them: I am he. And Judas also, who betrayed him, stood with them. As soon therefore as he had said to them: I am he; they went backward, and fell to the ground. Again therefore he asked them: Whom seek ye? And they said, Jesus of Nazareth. Jesus answered, I have told you that I am he. If therefore you seek me, let these go their way. That the word might be fulfilled which he said: Of them whom thou hast given me, I have not lost any one. Then Simon Peter, having a sword, drew it, and struck the servant of the high priest, and cut off his right ear. And the name of the servant was Malchus. Jesus therefore said to Peter: Put up thy sword into the scabbard. The chalice which my Father hath given me, shall I not drink it? Then the band and the tribune, and the servants of the Jews, took Jesus, and bound him: And they led him away to Annas first, for he was father in law to Caiphas, who was the high priest of that year. Now Caiphas was he who had given the counsel to the Jews: That it was expedient that one man should die for the people. And Simon Peter followed Jesus, and so did another disciple. And that disciple was known to the high priest, and went in with Jesus into the court of the high priest. 2am. Jesus is led before Annas. 3am. Jesus is taken before Caiphas, and receives a blow in the Face. The high priest therefore asked Jesus of his disciples, and of his doctrine. Jesus answered him: I have spoken openly to the world: I have always taught in the synagogue, and in the temple, whither all the Jews resort; and in secret I have spoken nothing. Blessed is the man who hath not walked in the counsel of the ungodly, nor stood in the way of sinners, nor sat in the chair of pestilence. But his will is in the law of the Lord, and on his law he shall meditate day and night. And he shall be like a tree which is planted near the running waters, which shall bring forth its fruit, in due season. And his leaf shall not fall off: and all whatsoever he shall do shall prosper. Not so the wicked, not so: but like the dust, which the wind driveth from the face of the earth. Therefore the wicked shall not rise again in judgment: nor sinners in the council of the just. 4am. Jesus is blindfolded, struck, and scoffed at. 5am. 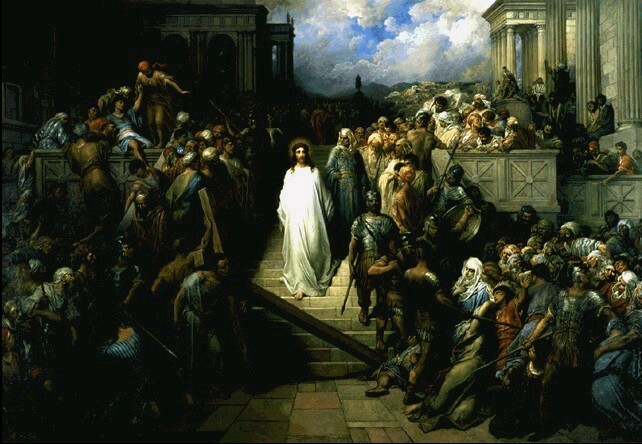 Jesus is led to the council, and declared guilty of death. 6am. Jesus is taken to Pilate, and accused. 7am. Jesus is mocked by Herod. But Pilate hearing Galilee, asked if the man were of Galilee? And when he understood that he was of Herod' s jurisdiction, he sent him away to Herod, who was also himself at Jerusalem, in those days. And Herod, seeing Jesus, was very glad; for he was desirous of a long time to see him, because he had heard many things of him; and he hoped to see some sign wrought by him. And he questioned him in many words. But he answered him nothing. And the chief priests and the scribes stood by, earnestly accusing him. 8am. 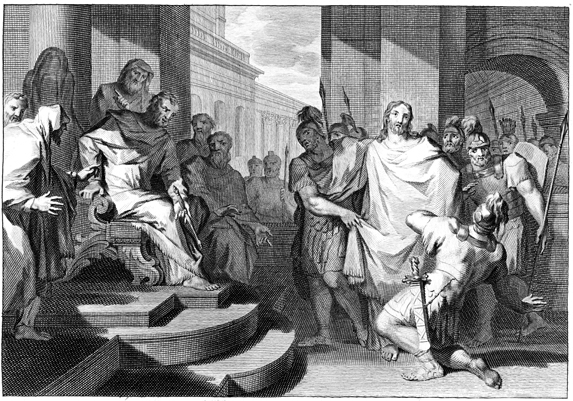 Jesus is conducted to Pilate, and Barabbas is preferred to Him. I will chastise him therefore, and release him. Now of necessity he was to release unto them one upon the feast day. But the whole multitude together cried out, saying: Away with this man, and release unto us Barabbas: Who, for a certain sedition made in the city, and for a murder, was cast into prison. And Pilate again spoke to them, desiring to release Jesus. But they cried again, saying: Crucify him, crucify him. And he said to them the third time: Why, what evil hath this man done? I find no cause of death in him. I will chastise him therefore, and let him go. But they were instant with loud voices, requiring that he might be crucified; and their voices prevailed. And Pilate gave sentence that it should be as they required. And he released unto them him who for murder and sedition, had been cast into prison, whom they had desired; but Jesus he delivered up to their will. It was commonly believed, were all that a man could stand before his body would give out; and so 39 lashes was the gravest punishment that could be imposed, short of death. But the Man standing at this pillar, arms embracing His Destiny, hands bound on the other side, is no ordinary man. 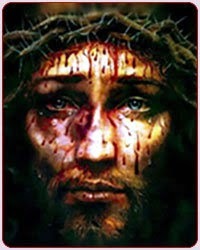 As the Son of God, Christ suffers each blow not less than another man would, but more, because each stinging lash is accompanied by the memory of the sins of mankind, which led to this moment. How Christ's Sacred Heart aches as He sees your sins and mine, flashing like the glint of the rising sun off the metal ends of the cat o' nine tails. The pains in His Flesh, as intense as they are, pale in comparison with the pain in His Sacred Heart. Christ stands prepared to die for us, to suffer the agony of the Cross, yet we continue to sin out of love of our own flesh. Gluttony, lust, sloth: These deadly sins arise from the flesh, but they take hold only when our souls give in to them. But we can mortify our senses and tame our flesh if we keep Christ's Scourging at the Pillar before our eyes, as our sins are before His in this moment. 9am. 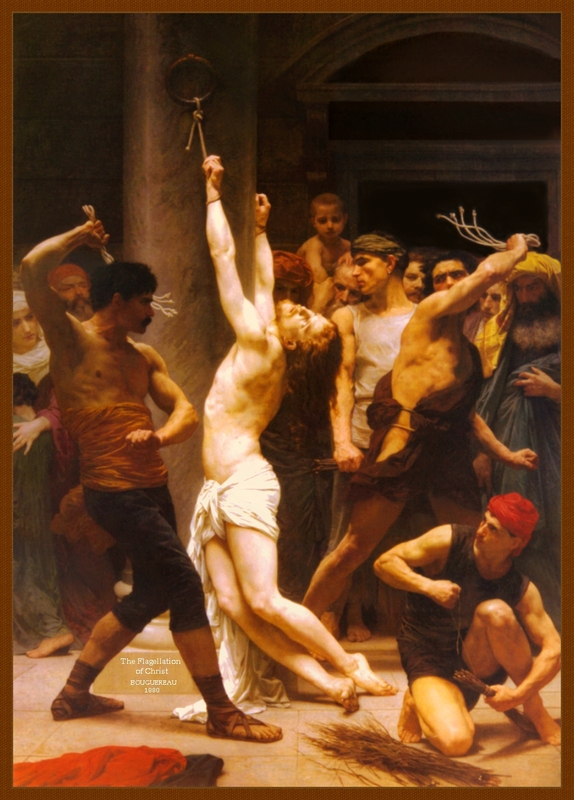 Jesus is scourged at the pillar. Then therefore, Pilate took Jesus, and scourged him. 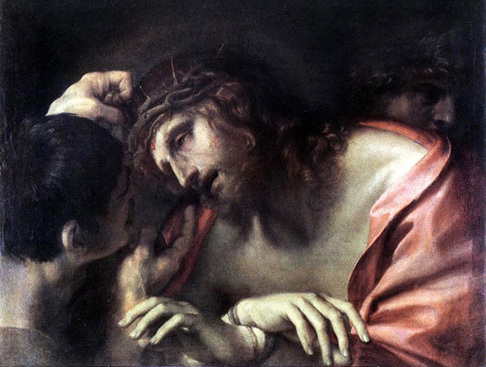 And the soldiers platting a crown of thorns, put it upon his head; and they put on him a purple garment. And they came to him, and said: Hail, king of the Jews; and they gave him blows. Pilate therefore went forth again, and saith to them: Behold, I bring him forth unto you, that you may know that I find no cause in him. (Jesus therefore came forth, bearing the crown of thorns and the purple garment.) And he saith to them: Behold the Man. May the most holy, most sacred, most adorable, most incomprehensible and unutterable Name of God be always praised, blessed, loved, adored and glorified, in Heaven, on earth, and under the earth, by all the creatures of God, and by the Sacred Heart of Our Lord Jesus Christ in the Most Holy Sacrament of the Altar. Amen. 10am. Jesus is crowned with thorns, and exhibited to the people. 11am. Jesus is condemned to death, and goes to Calvary. "But Jesus turning to them, said: Daughters of Jerusalem, weep not over me; but weep for yourselves, and for your children" (Luke 23:28). His sacred feet shuffle through the dust and stone of the streets of Jerusalem, His body bowed under the weight of the Cross, while Christ walks the longest walk ever made by man. At the end of that walk stands Mount Calvary, Golgotha, the place of skulls, where, tradition says, Adam lies buried. The first man's sin, which brought death into the world, draws the New Man to His Death, which will bring life to the world. The women of Jerusalem weep for Him, because they do not know how the story will end. But Christ knows, and He urges them not to weep. There will be tears enough to cry in the future, when the final days of the earth approach, for when the Son of Man returns, "shall he find, think you, faith on earth?" (Luke 18:8). Christ knows what awaits Him, yet He moves ever forward. This is the walk He was preparing for 33 years earlier, when the Blessed Virgin held His tiny hands and He took His first steps. His entire life has been marked by the patient acceptance of His Father's Will, the slow but steady climb toward Jerusalem, toward Calvary, toward the death that brings us life. 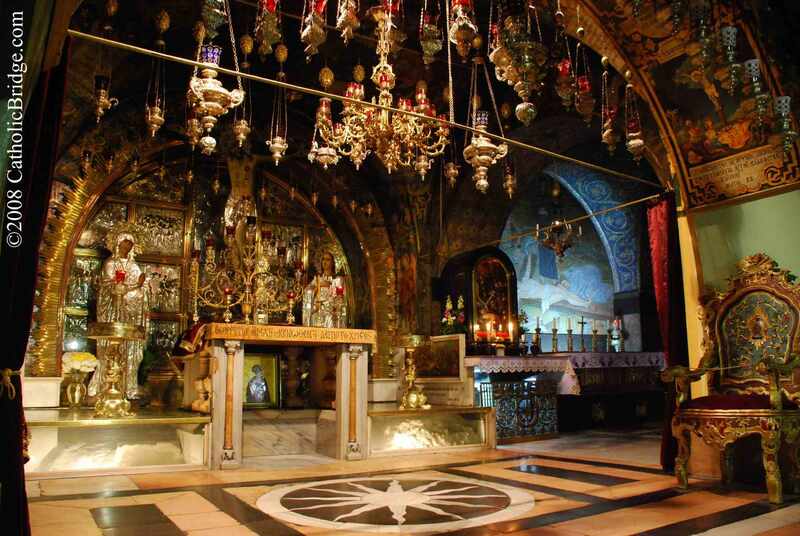 And as He passes before us here on the streets of Jerusalem, we see how patiently He bears His Cross, so much heavier than ours because it bears the sins of the entire world, and we wonder at our own impatience, at how quickly we set aside our own cross each time we fall. "If any man will come after me, let him deny himself, and take up his cross, and follow me" (Matthew 16:24). In patience, let us heed His words. Midday Jesus is stripped and crucified. In like manner also the chief priests, with the scribes and ancients, mocking, said: He saved others; himself he cannot save. If he be the king of Israel, let him now come down from the cross, and we will believe him. He trusted in God; let him now deliver him if he will have him; for he said: I am the Son of God. And the selfsame thing the thieves also, that were crucified with him, reproached him with. Now from the sixth hour there was darkness over the whole earth, until the ninth hour. 1pm. Jesus prays for His murderers. 2pm. 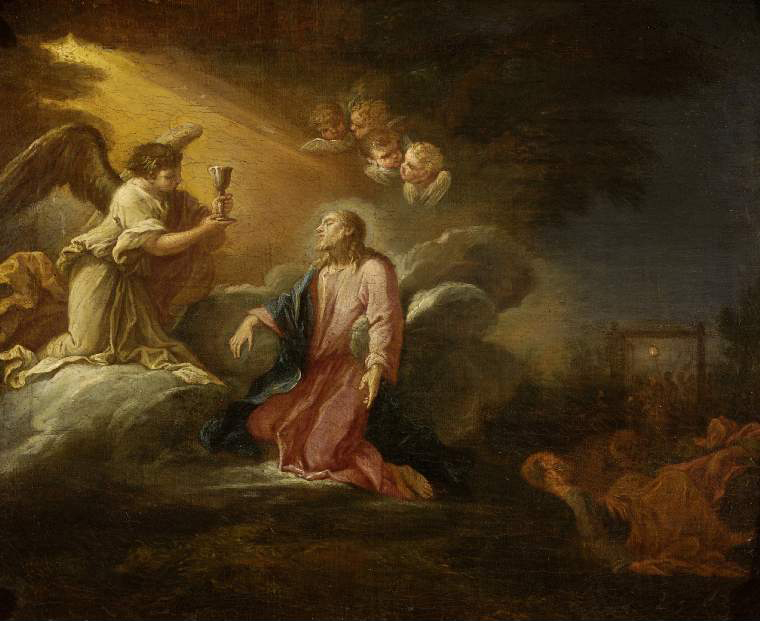 Jesus recommends His Spirit to His Father. "Father, forgive them, for they know not what they do" (Luke 23:34). The Way of the Cross is at an end. Christ, the King of the Universe and the Savior of the world, hangs bruised and bloodied upon the Cross. 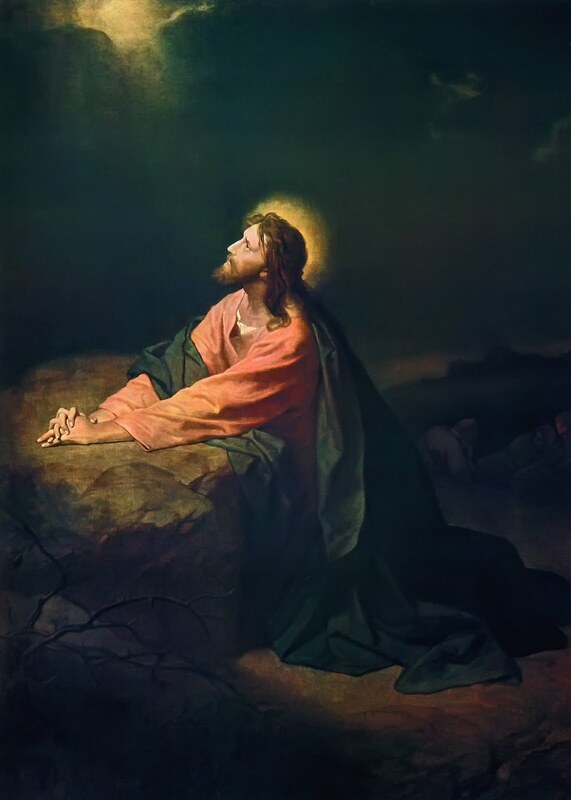 But the indignities that He has suffered since His betrayal at the hands of Judas are not yet at an end. Even now, as His Sacred Blood works the salvation of the world, the crowd taunts Him in His agony. 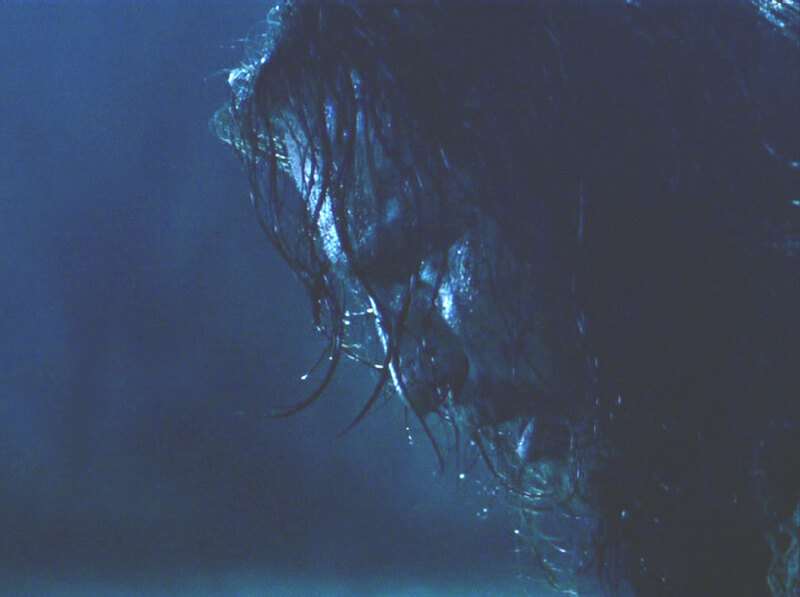 He is dying for their sins, and for ours, and yet they—and we—cannot see it. Their eyes are blinded by hatred; ours, by the attractions of the world. Their gaze is fixed on the Lover of Mankind, but they cannot get past the dirt and the sweat and the blood that stains His body. They have something of an excuse: They do not know how the story will end. Our gaze, however, too often wanders away from the Cross, and we have no excuse. We know what He has done, and that He has done it for us. We know that His Death has brought us new life, if only we unite ourselves to Christ on the Cross. And yet, day after day, we turn away. And still He looks down from the Cross, on them and on us, not in anger but in compassion: "Father, forgive them." Were sweeter words ever spoken? If He can forgive them, and us, for what we have done, how can we ever withhold forgiveness from those who have done us wrong? 4pm. Jesus is pierced with a lance. But one of the soldiers with a spear opened his side, and immediately there came out blood and water. 5pm. Jesus is taken down from the Cross, and delivered over to His Mother. 6pm. Jesus is buried and left in the sepulchre. Among whom was Mary Magdalen, and Mary the mother of James and Joseph, and the mother of the sons of Zebedee. And when it was evening, there came a certain rich man of Arimathea, named Joseph, who also himself was a disciple of Jesus. He went to Pilate, and asked the body of Jesus. Then Pilate commanded that the body should be delivered. And Joseph taking the body, wrapped it up in a clean linen cloth. And laid it in his own new monument, which he had hewed out in a rock. And he rolled a great stone to the door of the monument, and went his way. This is most beautifully done. Thank you.